Gary Gensler is very close to getting his wish to not be CFTC chairman anymore. As for his wish for a better job than CFTC chairman, well, this certainly can’t have helped. Former top Senate aide Amanda Renteria is being vetted to succeed Gary Gensler as chairman of the Commodity Futures Trading Commission after the previous leading candidate, a fellow commissioner, locked horns with Mr. Gensler over a controversial rule, according to people familiar with the matter. Ms. Renteria, former chief of staff for Sen. Debbie Stabenow (D., Mich.), is considered by some within the CFTC to be the front-runner for the position, according to people familiar with the matter…. 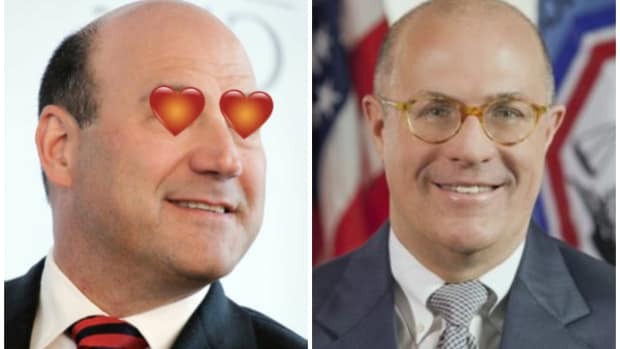 Until recently, CFTC Commissioner Mark Wetjen, who joined the commission in 2011, had been seen as the likely successor to Mr. Gensler. That changed after he and Mr. Gensler, both Democrats, disagreed over a key part of new Dodd-Frank rules governing derivatives. Mr. Gensler, who was backing a tougher proposal, relented in the end and allowed Mr. Wetjen&apos;s plan to prevail. After the CFTC voted on the watered-down rule last week, Mr. Wetjen was criticized by transparency advocates for siding with Wall Street.